Hi there, and welcome to my review of the Exlight Dual Focus Monocular. This particular glass is well-suited for someone with a tight budget, but is it worth even the small amount charged for it? 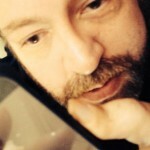 I’ve put it through it’s paces, and here’s what I think. This particular model is six inches long, with a 52mm objective lens. Weighing in at a mere 8.5 ounces, it’s lightweight and easy to carry along. Eye relief isn’t specified by the manufacturer, but it seems to be in the 12 to 14mm range. The lanyard is basic, but functional. The carrying pouch closes with a hook and loop fastening system, and includes a belt loop for attaching the case. It’s a fairly flimsy-feeling nylon pouch, but it seems to serve its purpose well enough. Unfortunately, the monoc doesn’t include lens caps. With its 52mm objective lens, this glass provides 16X adjustable magnification. The dual focus mechanism allows you to adjust the zoom level from either a front ring or rear, making it easy to use the monocular with one hand. The magnified image is sharp and clear, with great resolution and only a bit of blue color fringing around the edges. Field of view through the Exlight monocular is 213 feet at 875 yards, giving you plenty of sight of the terrain you’re scouting. I’ve seen better fields of view, but I’ve also looked through glass with much worse. The optics on this monoc aren’t the greatest, but they serve their purpose well. You’ve got your standard, inexpensive BK–7 roof prism, and the optics are multicoated – they’re not fully multicoated, unfortunately. Even so, images viewed through the glass are crisp with plenty of detail, brightness, and contrast, probably owing to the 52mm objective lens. My only wish is that Exlight had chosen to use BaK–4 prisms instead and fully multi-coat the optics. There are two focusing mechanisms, one at the rear of the glass and one at the front. They each have just enough stiffness to keep you from accidentally bumping your focus off, but they’re still smooth and clean enough to allow you to easily get an excellent, crisp view of your subject, even with just one hand. The image, as previous stated, is clear and vivid, but the optics do suffer from chromatic aberration, the aforementioned blue fringe around the perimeter of your field of view through the monocular. What you get when you pick up the Exlight is a compact, easy-to-handle monocular with excellent rubbery grip and the ability to adjust the zoom and focus with a single hand. The rubber exterior provides reasonable protection against bumps and falls, but the manufacturer fails to provide lens caps to prevent the glass from getting scratched. The bottom of the monocular doesn’t include a tripod mount, so you can’t use the glass with such an accessory to provide extra stability. Surprisingly for such an inexpensive optic, the glass is both fogproof and waterproof. Perhaps this shouldn’t really surprise me, since O-ring seals and nitrogen purging are almost cost-free these days, but there are still a number of budget optics that don’t provide those features. The rubber shell does provide plenty of impact resistance, though; I’ve dropped mine several times without any problems. Again, there are no lens covers for the objective or the eyepiece. How Well Does the Exlight Dual Focus Monocular Work in the Field? 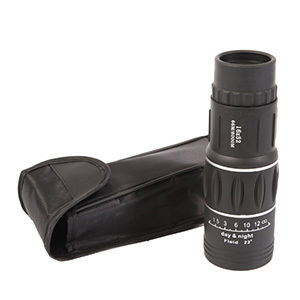 With 16X magnification, the light weight and compact size of the Exlight, this monocular is perfect for a bugout bag or something to just slip into your pocket for a quick view of birds, terrain, or game. I wish I could couple the glass with a monopod when hunting, but it’s still given me a fantastic view of deer that I might have missed out on without it. Thanks for reading this monocular review, of Exlight’s dual focus optic. This compact, budget-friendly glass isn’t perfect, but it is definitely a great value. You can get an excellent image of your subject, even from far away. The downsides? No lens caps, there’s no tripod mount, and there’s that bit of blue color fringing around the edges of your view. Overall, not bad for such an inexpensive device.